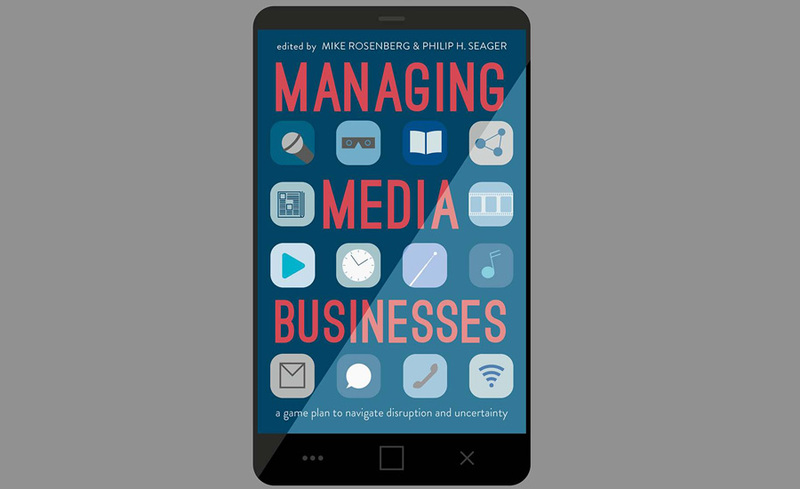 Managing Media Businesses: A Game Plan to Navigate Disruption and Uncertainty, edited by Prof. Mike Rosenberg and Philip Seager and featuring the work of IESE professors, has won the 2018 Robert Picard Award. Rosenberg and Seager accepted the award, given to “a book or monograph published in the last year that has contributed to the field of media management, economics or entrepreneurship,” during the Association for Education in Journalism and Mass Communication (AEJMC) Conference in Washington, D.C. Awards Committee Chair Axel Roepnack presented the prize on behalf of the Media Management, Economics and Entrepreneurship (MMEE) division of the AEJMC. The AEJMC is a professional body of journalism and mass communication educators, students and media professionals whose mission is to advance education, foster scholarly research and cultivate better professional practice. Robert Picard, for whom the award is named, is one of the leading academic experts on media businesses and a specialist on media economics and policy. He is a senior research fellow at the Reuters Institute, University of Oxford. The award recognizes IESE’s scholarship and contributions to the field of media management. Besides chapters by Mike Rosenberg (on Strategy, Leadership and Scenario Planning), the book showcases the expertise of these IESE professors and collaborators: Adrian Caldart (Strategic Management), Hillel M. Maximon (Accounting), Julian Villanueva (Marketing), Miguel A. Ariño and Rafael de Santiago(Managerial Decision Sciences), Philip Moscoso (Production, Technology and Operations Management), Sandra Sieber (Information Systems) and Ahmad Rahnema Alavi and Jan Simon (Financial Management).